Luxury Portfolio International® / Balistreri’s network is a unified collection of the world’s most experienced, visible and highly-regarded experts in luxury real estate. Founded in 2005 as the premium division of Leading Real Estate Companies of the World,® Luxury Portfolio exclusively markets a selection of the network’s extraordinary homes, utilizing a sophisticated mix of online and offline media to position properties for maximum exposure in an elite market. The program marketed over 50,000 properties last year on the award-winning LuxuryPortfolio.com and in prestigious publications circulated around the globe. Encompassing more market-leading independent real estate brands than any network, members are recognized for their agility, expertise and superior competence in both local and global markets. Highly sought after as resources for the high-net-worth, Luxury Portfolio brokers are characterized by unique insight, invaluable connections and a true passion for what they do. Through the connection to Leading Real Estate Companies of the World,® we market our most important properties to a targeted audience by leveraging the highly trafficked websites of over 565 top local real estate brokerages and the connections of 130,000 associates in over 70 countries. The independent brokers that make up this extraordinary invitation-only network wield both the insight-driven technologies and the trusted relationships that today’s consumer requires. And because each firm is held to a high standard of annually measured performance, these best-of-the-best brokerages will exceed your expectations. Luxury Portfolio’s award-winning website, www.luxuryportfolio.com, was launched in 2005 and in its first year featured more $1 million-plus residences than other luxury real estate organizations. The comprehensive program continues to grow and now markets over 35,000 of the world's most remarkable homes annually and attracts over three million high-net-worth visitors a year by presenting a gallery of the finest luxury properties and brokerages worldwide. Luxury Portfolio’s global reach is evident in its extensive collection of homes, website visitors from over 200 countries/territories every month, site translation in nine languages, conversion to multiple currencies and a total inventory of available properties totaling over $44 billion with an average price over $2.6 million dollars. The 200 firms affiliated with Luxury Portfolio are all members of LeadingRE and are the most well-respected and well-known experts in luxury real estate in markets worldwide. Luxury Portfolio provides the tools to drive growth and innovation, including access to empowering technologies that result in better decisions, and coveted partnerships in the growing lifestyle market. We achieve thousands of page-one positions on Google through our extensive search engine and social media strategies, ensuring your home is in front of today’s sophisticated consumers where and when they are searching. And the award-winning LuxuryPortfolio.com, represents more $1 million-plus properties than any other luxury network, leveraging high resolution photography and the latest mobile and video technology to create a cutting-edge experience when browsing the world’s preeminent collection of fine properties. Each property on LuxuryPortfolio.com is translated to nine languages and 60+ currencies, which results in reach to over 200 countries/territories. And it’s not just any consumer visiting the site. Of our average 3 million a year, a typical visitor has a household income of $1.12 million, owns a primary home valued at more than $3.4 million and is more likely to own a second home. In fact, 53% of LuxuryPortfolio.com visitors own a second home as compared to only 24% of the typical affluent consumer. Bottom line? We are reaching the right people: people who love and own significant properties. Through a proprietary tracking tool, LuxeAnalytics,™ our agents can provide comprehensive reporting on the online activity of the potential buyers viewing your property. Luxury Portfolio monitors their location, both domestic and international, language and preferred currency to assist in gauging market response to your home. This analytical insight is critical in connecting with today’s global buyer, and a competitive edge for you to make informed marketing decisions to maximize your options when weighing offers from interested parties. Our advertising program reaches over 60 million affluent consumers annually. Through publications with high-net-worth readers like The Wall Street Journal, Unique Homes, Luxe Interiors + Design, Velocity, Country Life International, Unique Homes China, Opera News, Black Card Mag/Luxury Magazine (the exclusive Visa Black Card publication), International Property and Travel Magazine, and more, we drive qualified prospects to your property. 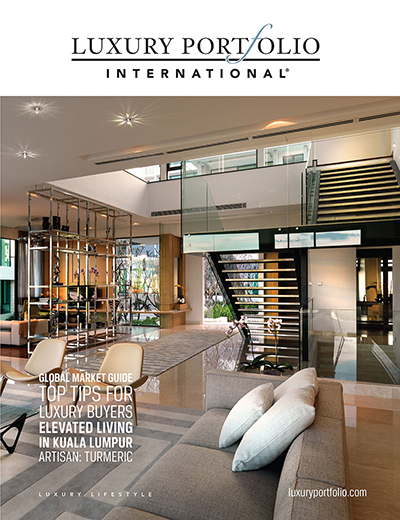 The Luxury Portfolio International Magazine highlights the incredible homes in the portfolio, along with the latest in luxury destinations, designers, lifestyle trends and more. The magazine is available on newsstands in over 60 countries, in first class airline lounges and is direct mailed to a list of affluent clients hand selected by the top agents in the Luxury Portfolio network. 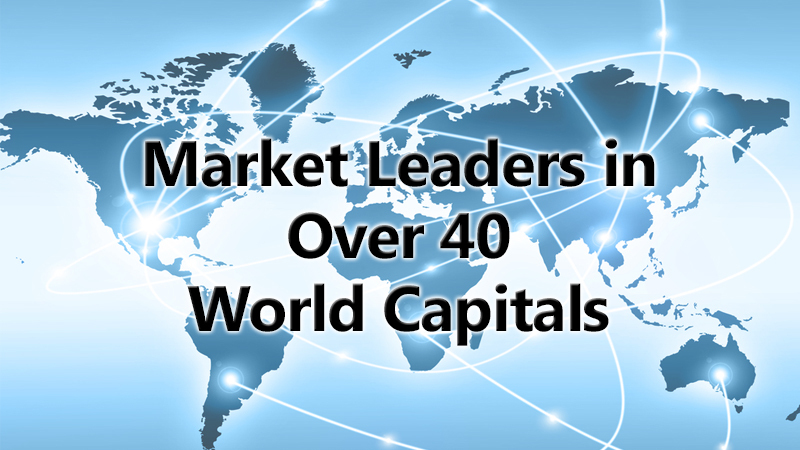 We know a commitment at this level requires a rock-solid relationship with experts who truly understand worldwide markets, and with our established leaders in over 60 countries, you can rest assured. As a global network with 50 years of proven results, our members are more than comfortable. Email us today for a free copy.